Manchester United have rejected an enquiry from Arsenal for Eric Bailly, according to the Daily Mail. The 24-year-old has been linked with a move to Arsenal in the past month or so, and it’s thought the Gunners want to take the centre-back on loan until the end of the season with a view to a permanent deal in the summer. However, United have no interest in losing Bailly at this stage of the season despite the player not featuring regularly. Bailly has 18 months left on his United contract and has started just one game under Ole Gunnar Solskjaer where he received a red card. 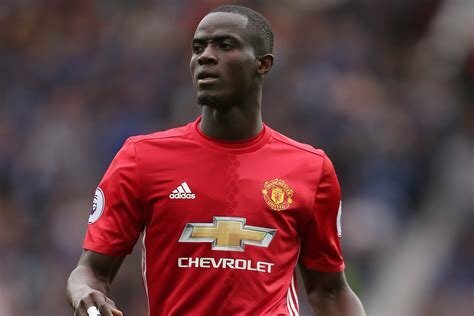 Despite being out-of-favour, Bailly wants to stay at Old Trafford and prove his worth to the team. United do have the option of extending the Ivorian’s stay a further two years due to a clause in his contract but will not decide anything until a permanent manager is in place. Arsenal are desperate for defensive cover having lost the services of Rob Holding before Christmas, ruling ruled him out for the remainder of the season, while Hector Bellerin will not be seen for the same duration of time after suffering ACL damage. Unai Emery is short of options at the back as result, but the Spaniard is only able to make loan signings after admitting he has no funds to spend and sees a move for Bailly, considering his position at United, as a realistic one this month.